Is there a better way to celebrate this day than with InterNations members? 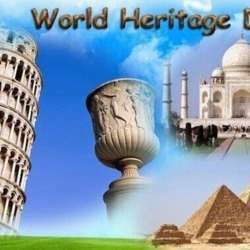 18 April World Heritage is the shared wealth of humankind. We may be a little late celebrating this day, but protecting and preserving this valuable asset demands the collective efforts of the international community. This special day offers an opportunity to raise the member's awareness about the diversity of cultural heritage and the efforts that are required to protect and conserve it, as well as draw attention to its vulnerability. Let's join together to celebrate and share ideas with other members about what we can do to protect our heritage. For every InterNations official event, we would like to ask volunteers from our community to greet and check-in guests at the door. The community and other expats acknowledge your contribution! As a volunteer, you're exempted from paying an admission fee. Also, after fulfilling a volunteer role, you will receive a 1-month complimentary Albatross membership. To express your interest, please send a private message to Felix Emmanuel or one of the Vancouver community's Ambassadors. Thank you very much for your kind, thoughtful contribution to the community. Please sign up for an attendee list before the 28 April.